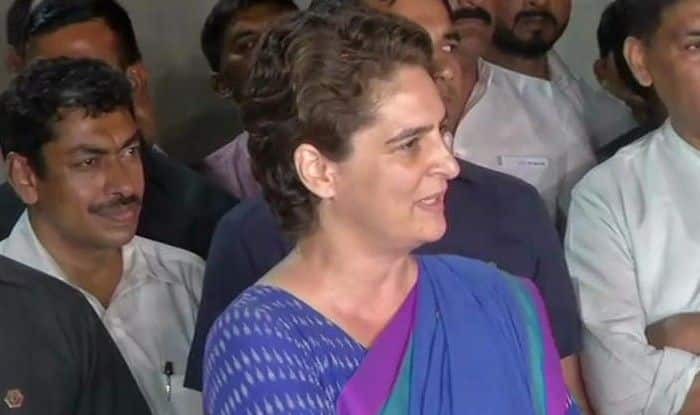 Uttar Pradesh Chief Minister Yogi Adityanath had claimed that Congress president Rahul Gandhi and Priyanka Gandhi visited temples only during elections. New Delhi: Congress General Secretary For Uttar Pradesh East Priyanka Gandhi Vadra on Wednesday retorted to Yogi Adityanath’s comment that her party leaders visited temples only during elections. “How does the UP CM know when and where one goes?” she asked. “How does he know I don’t go during non-election time?” asked Priyanka. Earlier, the Uttar Pradesh Chief Minister had claimed that Congress President Rahul Gandhi and Priyanka Gandhi visited temples only during elections. The Lok Sabha elections are scheduled to be held from April 11 and will go on till May 19 in seven phases. The polls in Uttar Pradesh will be held in all seven phases. The counting of votes will take place on May 23.